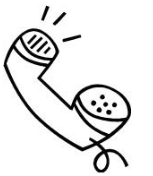 Make sure your telephone number is on the top right hand corner of your website. Ask yourself what is your website for? If it’s to get calls to make appointments, then you need your contact number to be prominent for all visitors to see. Don’t forget to instill confidence in your clients and make sure you offer more than a mobile number as a form of contact. Your client needs to know that you’re not going to just disappear.